Out of all the camera lenses that I own, the one I use the most is probably the 70-300mm, a versatile telephoto lens that is good for taking pictures of birds, moon, and even insects. I remembered how excited I was when I first got it more than six years ago and how much fun I had using it during my trips to Ontario, Yukon, Colorado, and more. And it was pretty much the reason why I continued my transition from Olympus E-620 to Olympus E-M1 just so that I could keep using this lens. However, the need to use an adapter and the mediocre auto-focusing on the E-M1 have gotten me considering getting the native 75-300mm lens, which does not require an adapter and has a better auto-focusing capability. During this past weekend, I found someone selling it online for a reasonable price and decided to buy it. We made the exchange yesterday, and now I am eager to test it out when the weather is nice. 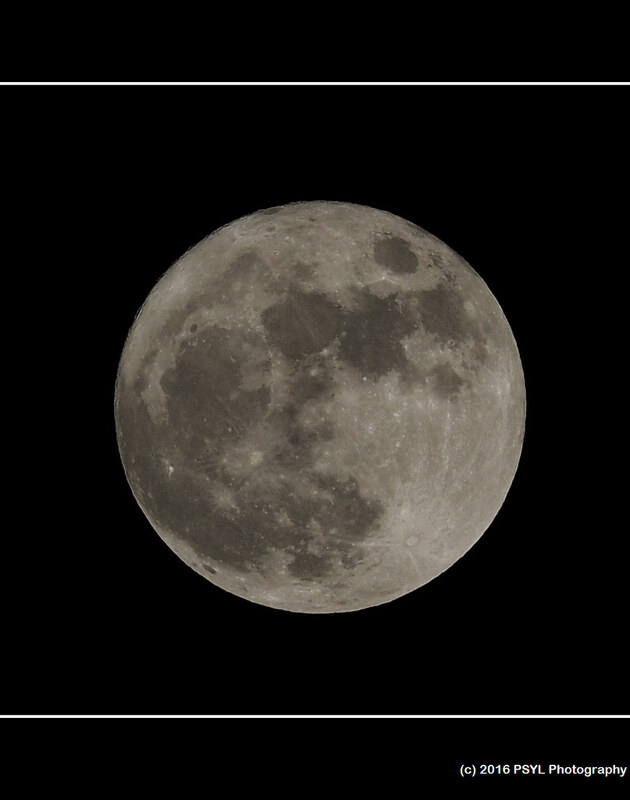 For now, I took some photos of the full moon tonight and this was the best photo I got (cropped).